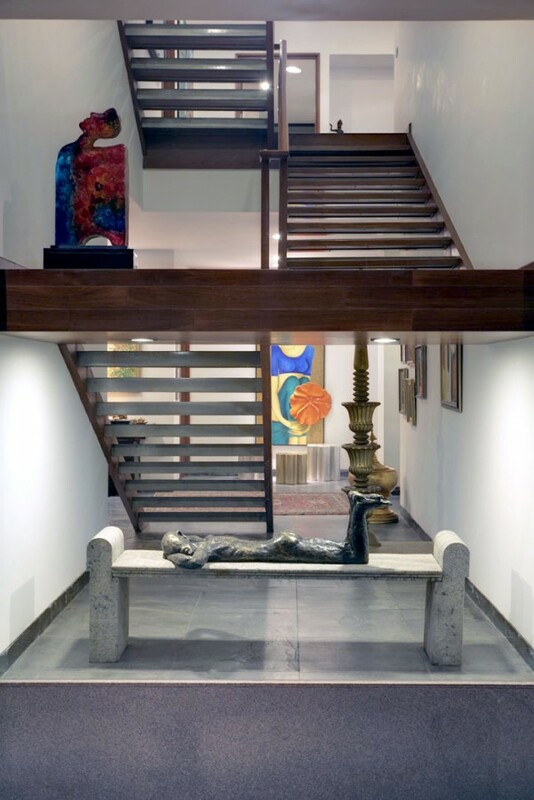 Located in the heart of a residential area in Chennai, the house is imagined as a portal placed on a high plinth. 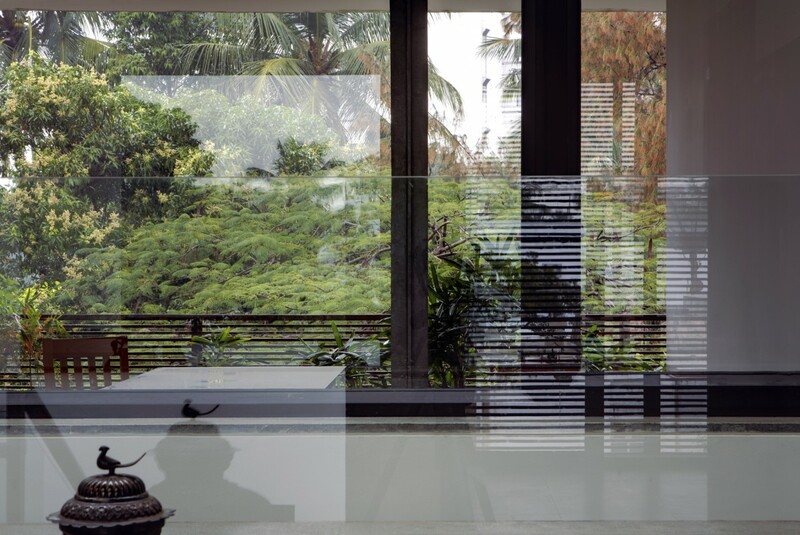 In the house, the bedrooms and other private programmes are accommodated in the portal, while the plinth contains the living, dining, and support services. 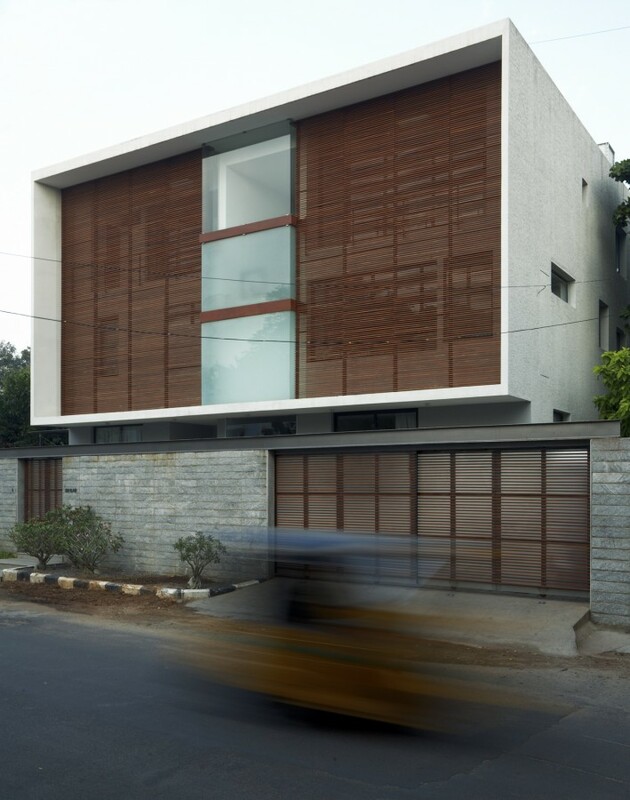 The street façade of the portal is clad in wooden slats to ensure privacy while allowing light and air to filter through, and into the house. 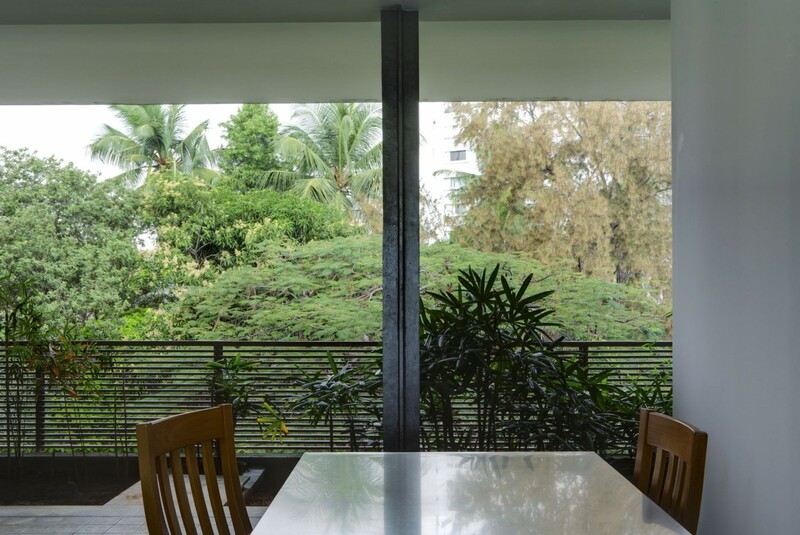 The garden façade comprises a series of planters that visually connect to and extend the landscape to the adjoining property, as perceived from within.